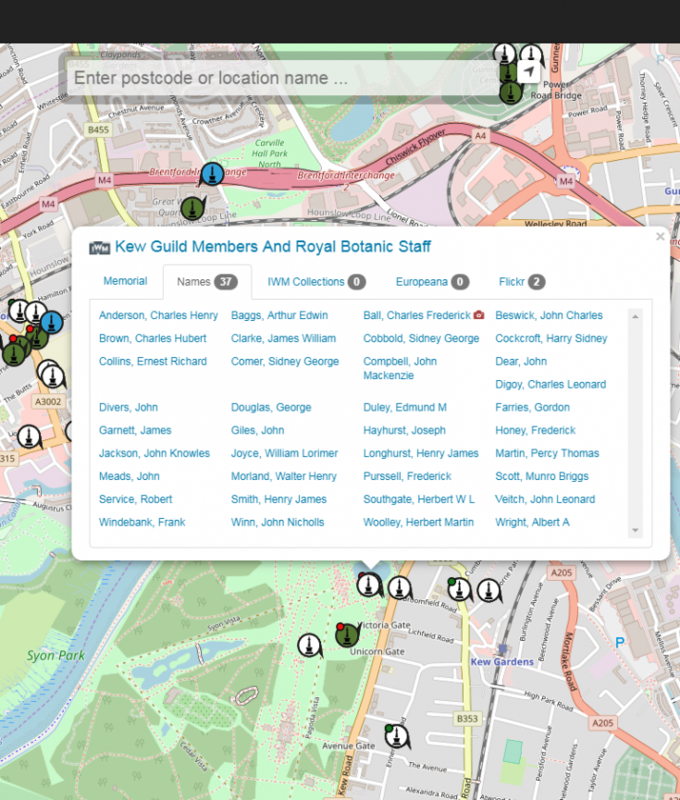 This map was originally conceived as a demonstrator for the interview that got me my current job at Imperial War Museums! 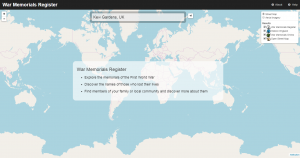 The original version placed official Memorial Register records on a map then looked up potentially related material based on the placename recorded for the memorial, looking in the wider Imperial War Museum Collections, Europeana, and Flickr Commons. 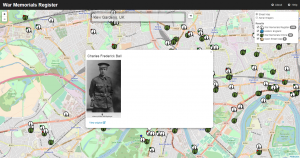 It also uses name records to search for portraits in the IWM Collections and flags those with possible matches. 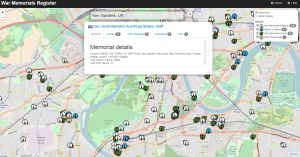 The latest iteration has been expanded to include data for project partners War Memorials Online and Historic England, and also for OpenStreetMap.